For our editor in chief, a spring drive brings back memories of growing up in North Carolina. With branches that reach high above the forest floor and trunks too wide to wrap your arms around, these trees are our champions. In Asheville, one of the country’s top arts destinations is itself a living gallery where creativity flourishes. A community farm outside of Charlotte helps a new crop of farmers learn and grow. Inspired by ski lodge culture, a young couple turned their bike shop into a hub for adventurers to share stories and pints outside Pisgah Forest. Growing young gardeners is a lot like tending seeds: Both need plenty of dirt and sunshine, a little patience, and a lot of love. This spring, dig for treasure: These three recipes will show off your homegrown bounty. 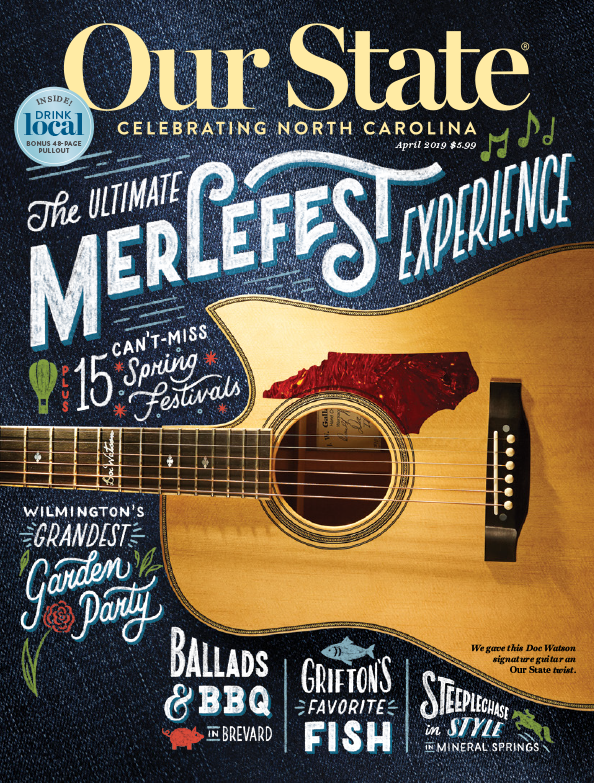 What began as a one-off fund-raiser for a college garden has grown into North Carolina’s biggest, most beloved music festival. Each year, plenty of famous folk, plain folk, and a bit of folklore converge to bring Doc Watson’s dream to life. Imagine 2,000 strangers wandering through your living room and scrutinizing your flower beds. 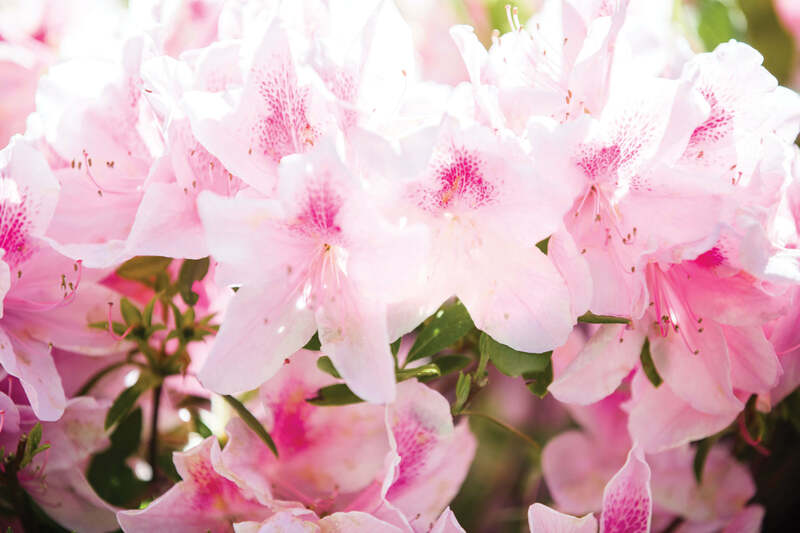 Every year, just as the North Carolina Azalea Festival bursts into bloom, Wilmington’s bravest homeowners welcome the intrusion with a smile. In Brevard, a gathering devoted to singer-songwriters and their fans keeps a mother’s wisdom and wishes alive. In the creeks and rivers of the Coastal Plain, shad are harbingers of spring. For the folks in one tiny town, their annual Shad Festival also heralds a renewed spirit of resilience. Creative concoctions made with fresh flowers give us five ways to enjoy a taste of spring. The curative and preventative medicinal wisdom of old Appalachia and ancient Asia find common ground — literally — in Yancey County. As commercial aviation captures the public’s imagination, conditions are just right for a North Carolina airline — born and bred in Winston-Salem — to take off. They fight, they flit, they sing and swoop. If they’re lucky, these lovebirds will find themselves a mate this spring — while putting on a show for the rest of us. Tap Hopper Tours started as a way to help beer lovers explore Greensboro. Then, its founders discovered something that brewers really needed. From the funky decor to the miniature golf course, nostalgia abounds at this retro motel in Kinston.